Oil on stretched canvas, 6" x 6" x 3/4". I knew I wanted to paint this scene when I saw it. 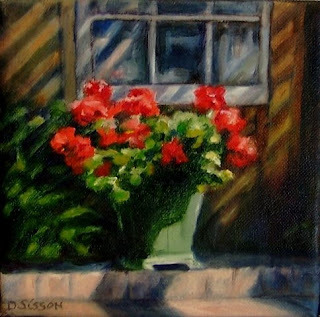 Shadows from an overhead lattice were falling across a planter of geraniums on a porch.